Free electric guitar vectors for your concert, live performance, recording and event design themes. 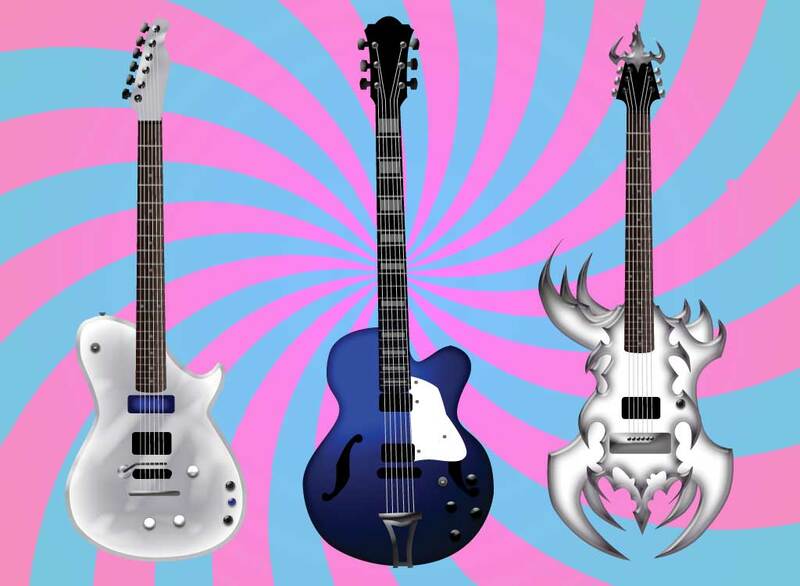 Three highly detailed electric guitars to choose from in this great download. A nice range between extreme and traditional. Great for your music and band themed posters, fliers, websites or other design projects. Tags: Axe, Band, Electric, Frets, Guitar, Instrument, Music, Notes, Stratocaster.